New product from new brand! 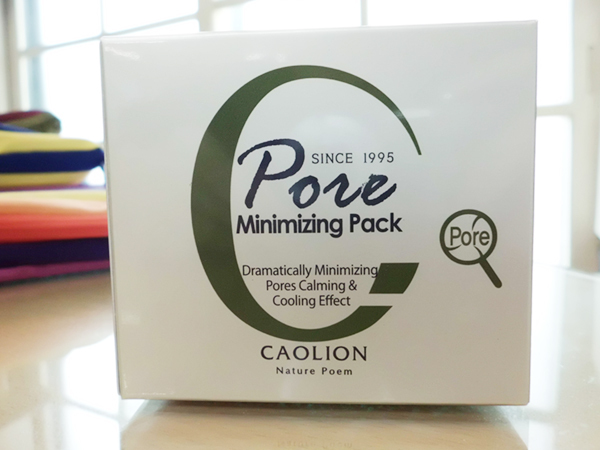 I received a promotional package of Caolion (pronounced as “Ka-oh-lee-on”) Pore Minimizing Pack (100g, 30$) from Wishtrend. I was really intrigued when I first heard of this product. I have never heard of the company before, but apparently it is famous for being the first Korean cosmetic brand using 100% all-natural ingredients. All products from this brand contain no alcohol, no artificial pigments, and no artificial fragrances. 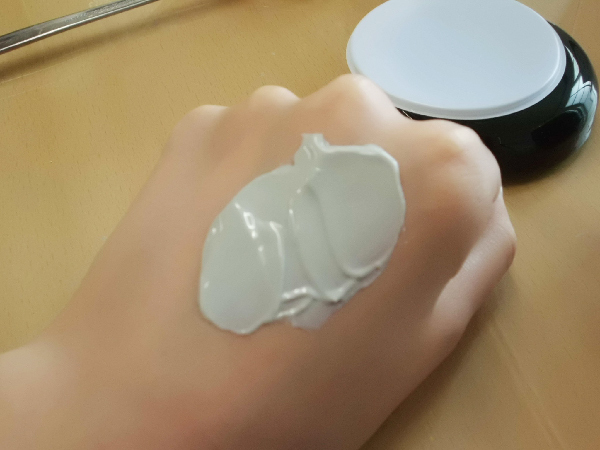 Also, this product contains NO PARABEN, which is a chemical preservative that is widely used in many cosmetic products but harmful to the body. The brand claims that the product “controls excess sebum, deeply cleanses pores, absorbs residue, exfoliates the skin, and tightens enlarged pores.” It is also effective on easing skin troubles and redness. The texture is very creamy and somewhat jelly. It is an interesting texture. 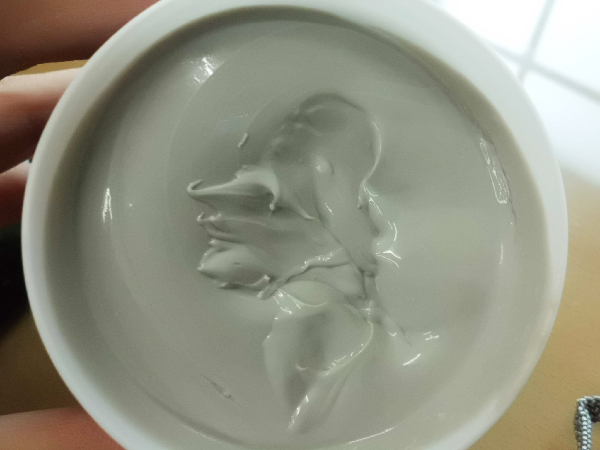 Unlike most clay masks, which can feel stiff and crack on skin when dried, this does not because of the gel-like texture. It dries pretty quickly, and even when dried it feels pretty elastic. The peppermint extract makes the skin feel very cool, which I like! 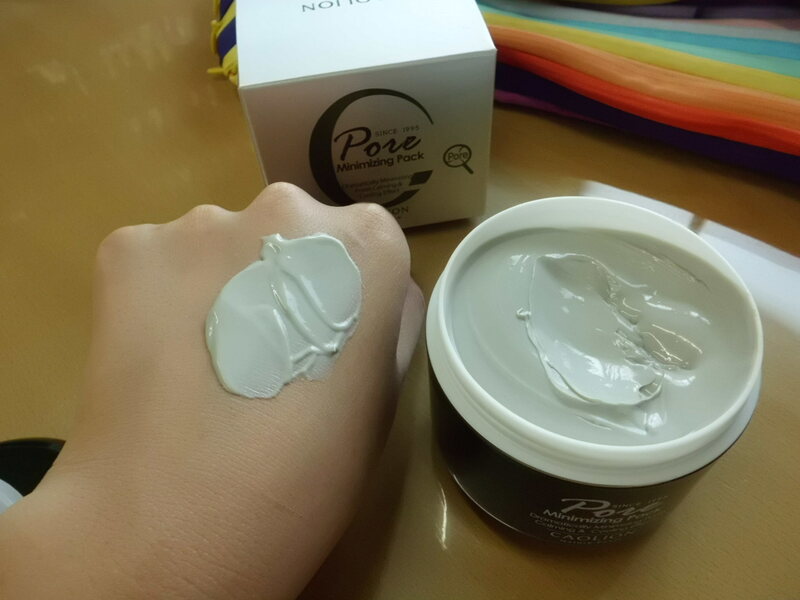 The cooling effect seems to help tighten the pores. The smell is like clay, with a hint of mint (guessing that it comes from the peppermint extract). 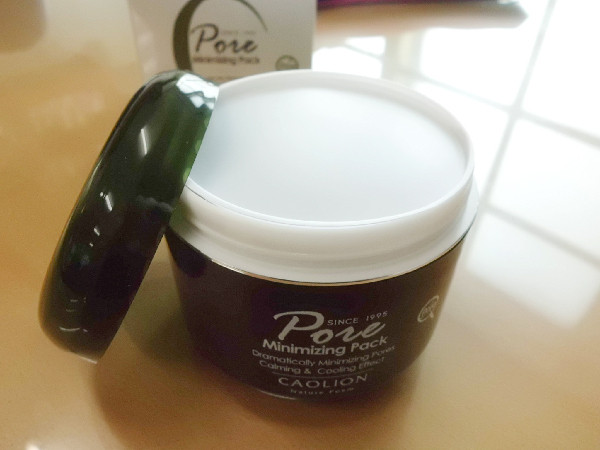 I find Caolion Pore Minimizing Pack to work better than Ciracle Jeju Volcanic Clay Mask when it comes to minimizing pores. It definitely says what it does—minimizes pores! After just one use, pore sizes on my nose were noticeably reduced. I absolutely adore products that perform as they claim. 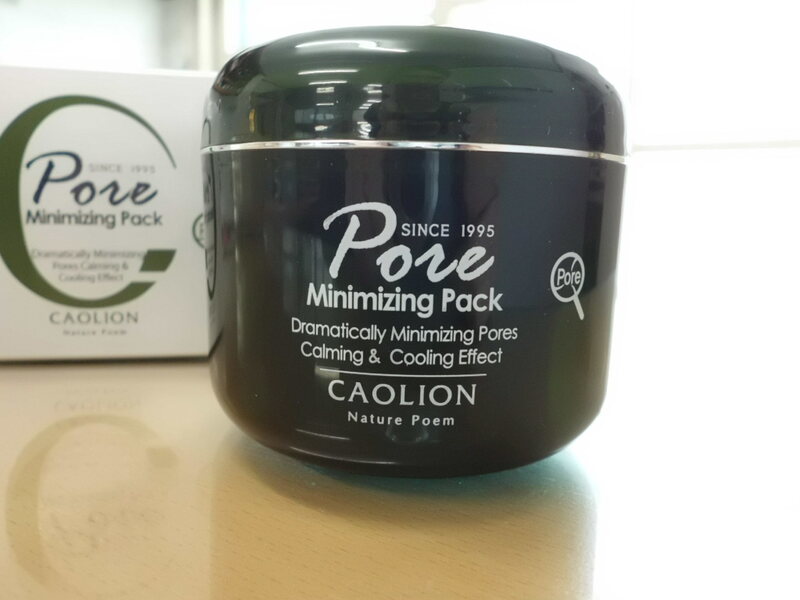 So, for pore tightening, I would prefer to use Caolion. 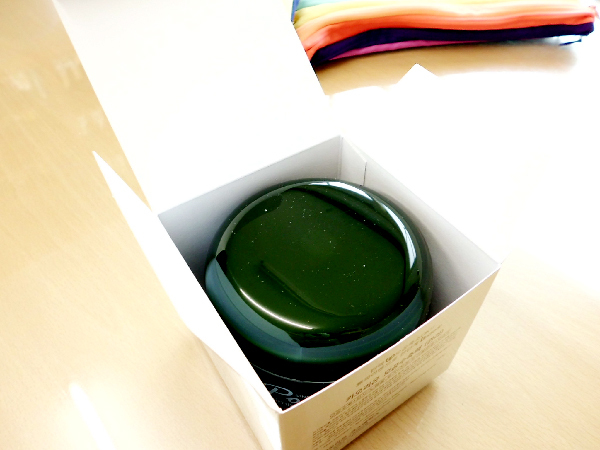 For exfoliating skin and deep cleansing, I would prefer to us Ciracle. Wash face, then tone skin with skin toner. 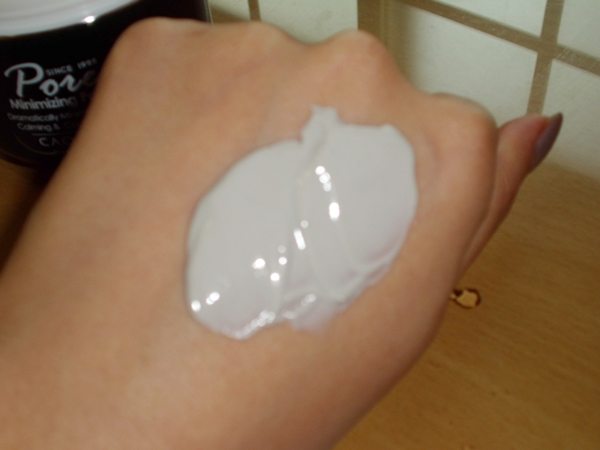 Apply a thin layer of the mask onto skin. Wait for 15 minutes, then wash off the mask with lukewarm water.